Question: Hi friends i delivered baby through veginal birth on 16th feb now he is of 4 days....but today doctor said he is attaked with jaundice so i am scared please can any one tell is this normal for most of the babies? Answer: hi dear! Mild infant jaundice often disappears on its own within two or three weeks.as the baby's body becomes able to get rid of the excess bilirubin on its own. For moderate or severe jaundice, your baby may need to stay longer in the newborn nursery or be readmitted to the hospital. dont worry dear. take care dear. Answer: dont worry..its not dangerous. baby needs to get phototherapy if the jaundice is more than 10 or as advised by doctor. please make sure that you feed your baby every second hourly. compulsory...and take care of the baby from cold...keep him warm always ....take more care of him till one month. Answer: Yes this is very normal. Answer: Hi.. It happens with some females but it should have finished by now. Maximum until six weeks after the delivery, it should have stopped. Visit your gynaecologist and ask for some medicine. 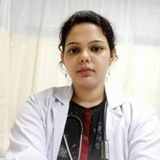 Question: my bhabi delivered a baby boy on 18th of August, and dr. told today that he is suffering with jaundice, is it OK? why it happens?? Answer: Hi! Neonatal jaundice is very common in infants, because baby's liver is not matured enough to get rid of bilirubin from the bloodstream. Cures available: Plenty of Breastmilk. Exposure to sunlight Exposure to blue led light (phototherapy) if Doctor suggests. Diet for new mother - have plenty of fluids, calcium and protein rich diet- milk, green vegetables, energy foods like dal (drink 2 bowls of dal in each meal), healing goods like ghee, haldi etc. Last but not the least- the following 3 ingredients in diet- increase breast milk production - ajwain, jeera and garlic- so increase that in your food. Dont worry baby will be fine soon, my prayers for speedy recovery! Question: i had a c sec on 16th feb. n bleeding stopped with in one week.. but today after another week bleeding suddenly started again. is it normal?? Answer: hello.. dear its normal dont worry..